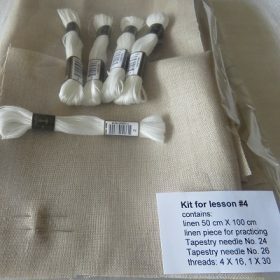 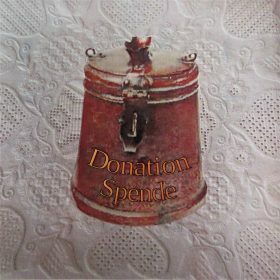 Kit #4 provides all materials required for lesson #4 Needle-Weaving Band Sampler. 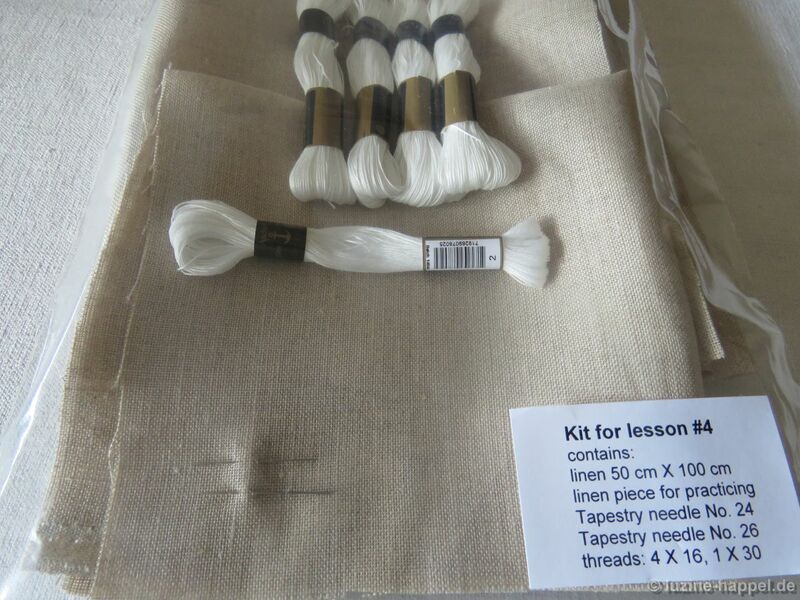 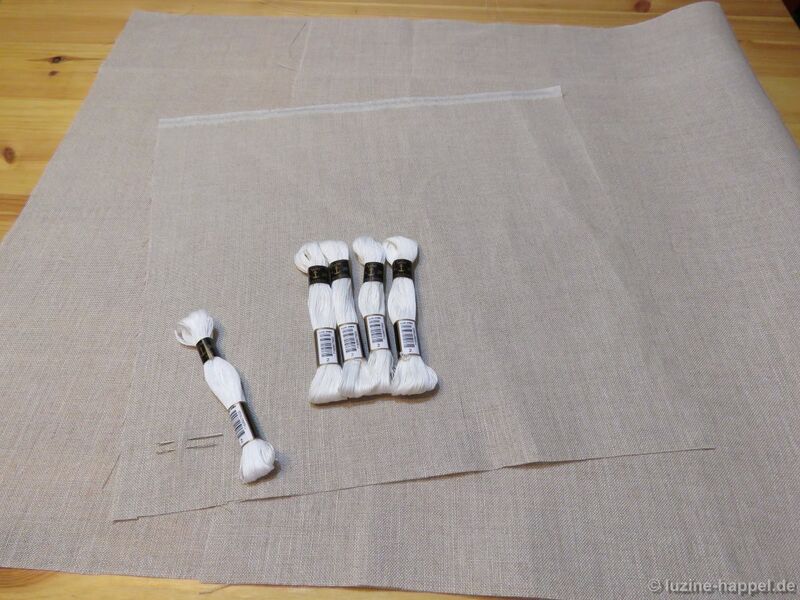 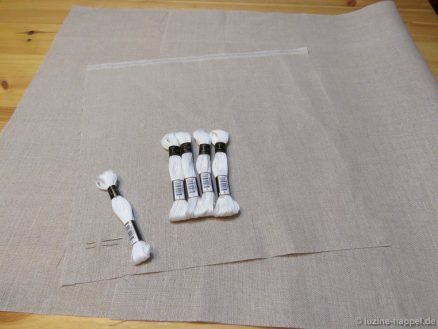 The lesson #4 project needs a linen piece measuring at least 50 cm X 60 cm. But perhaps one wants to add some more needle-weaving bands or a crown (content of a future article); to accommodate such a scenario, I decided to cut the linen to measure 50 cm X 100 cm – it can be easily cut to the desired length, whereas a too short piece is difficult to lengthen.